This condo patio began with the precise placement of irregular limestone flagging that help to set a tropical mood. 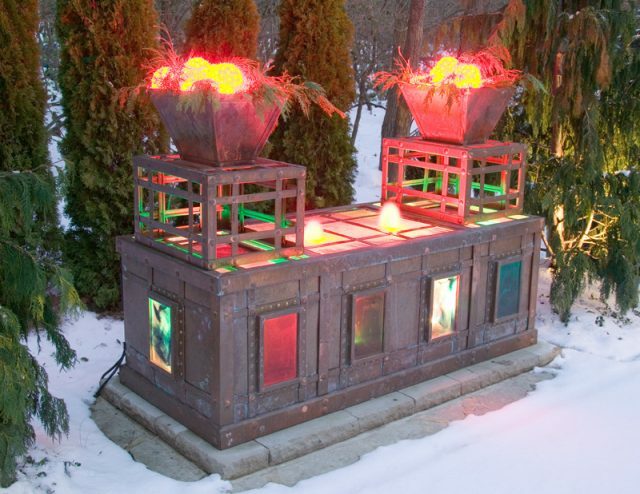 The custom designed copper water feature showcases large ferns and is illuminated for a brilliant evening display. 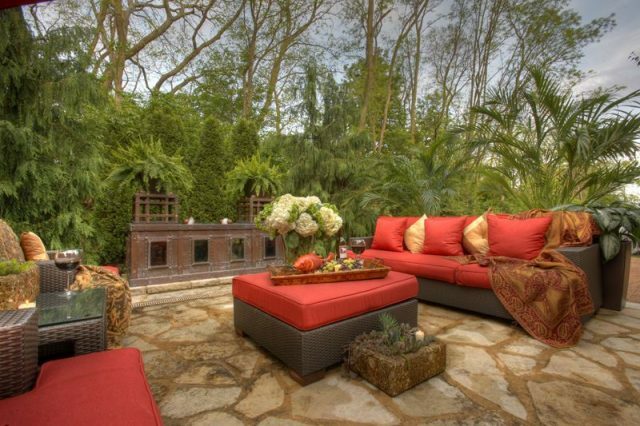 The multi-textured plantings surrounding the patio include seasonal palm trees, arborvitae and succulents. 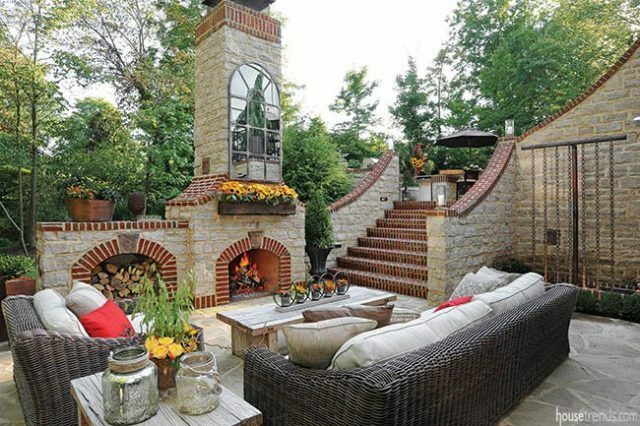 The homeowner wanted their own Paradise Found and Landfare created it! 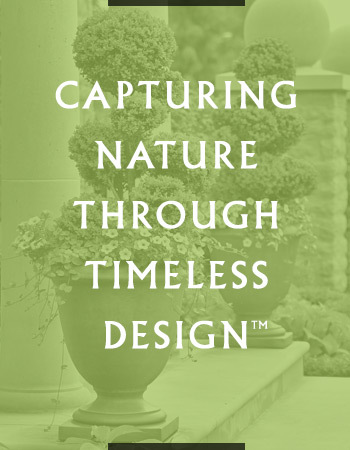 Custom designed water features are one of the exciting design elements that we bring to our clients during the design process. 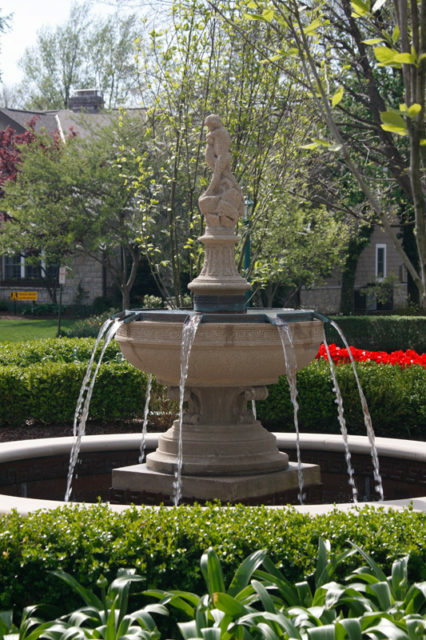 Whether re-purposing homeowner’s art and sculpture or creating a totally new design, water features are a wonderful way to customize your property. The team at Landfare Ltd. discovered an 1950s era planter on a client’s property. 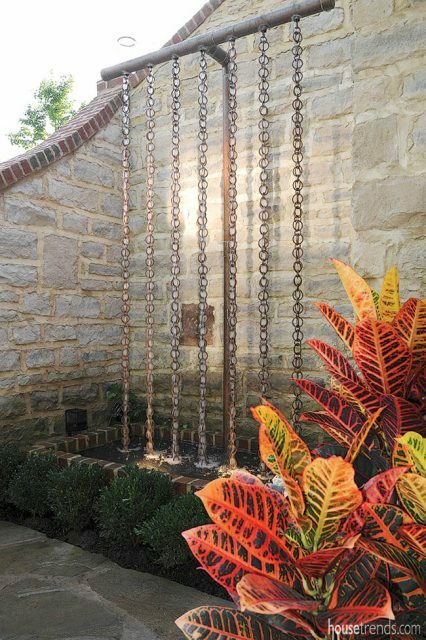 John Spayde, our designer, knew immediately that this could be a beautiful and elegant fountain that would enhance the home and property. After the piece was leveled, a copper pedestal with multiple channels was designed and fabricated. The water capture basin was designed with a Greek keystone design, again in copper, to tie back to the original concrete piece. Our crew brought plumbing and electrical to make the new water feature come alive day and night. See more of our custom water features here.